Gene Watson (born October 11, 1943) is an American country singer. He is most famous for his 1975 hit "Love in the Hot Afternoon" and his 1982 hit "Fourteen Carat Mind." Biography Watson was born in Palestine, Texas, in 1943 and began his music career in the early 1970s, performing in local clubs at night while working in a Houston auto body shop during the day. He only recorded for a few small, regional record labels until 1974, when Capitol Records picked up his album Love in the Hot Afternoon and released it nationally. Watson was born in Palestine, Texas, in 1943 and began his music career in the early 1970s, performing in local clubs at night while working in a Houston auto body shop during the day. He only recorded for a few small, regional record labels until 1974, when Capitol Records picked up his album Love in the Hot Afternoon and released it nationally. The title track, a mid-tempo ballad in 3/4 time, was released in June 1975 and it quickly reached Number 3 on the Billboard magazine Hot Country Singles chart. 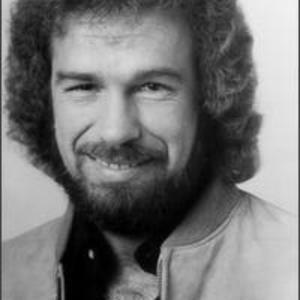 Watson's national success continued throughout the late 1970s and early 1980s, as he recorded several Billboard top-40 hits, including "Where Love Begins," "Paper Rosie," "Should I Go Home (or Should I Go Crazy)," "Nothing Sure Looked Good on You." and "Farewell Party" which was released in 1979 and quickly became Watson's signature song and soon allowed Watson to name his band after the tragic ballad. In 1982, after switching to the MCA label, he recorded the only number-one hit of his career, "Fourteen Carat Mind." He followed up with several more hits in the early 1980s, including "Speak Softly (You're Talking to My Heart)," "You're Out Doing What I'm Here Doing Without" and "Got No Reason Now for Going Home." By the mid-1980s, he was recording for Epic Records, where his most notable hit was 1985's "Memories to Burn." Watson never gave up his classical country style, even as he continued to record music throughout the 1980s. He signed with Warner Bros. and released two new albums in 1989 and 1991. He recorded his last album, From the Heart, under the Row Music Group label in 2001. In 2005, Watson released his latest album, "Then & Now." In May 2007, Gene Watson signed with the independent Shanachie Records & began work on his first album for the label, which will include new material, along with at least 3 covers of some of Gene's favourite classic country tunes including Merle Haggard's classic "Today I started Loving You Again". The new album, 'In a Perfect World', will be officially released on Tuesday 25 September 2007. It was also in May 2007 (Saturday 5 May 2007) that the (all new) Gene Watson Site went 'live'. The site, which is owned & maintained by Sean Brady, is based in the Republic of Ireland & receives full support from Sarah Brosmer at Lytle Management in Nashville (Gene Watson's management team) & Gene Watson himself. In September 2007 "In A Perfect World" was released to the public. The album was received by the country music industry as being one of the best recordings of the year. Though he can sing honky-tonk, Gene Watson built a reputation for soulful ballads in the classical country tradition. Born one of seven children in Palestine, TX, Watson married early and was working as an auto-body man when he began frequenting the clubs in Houston. He recorded for a few small-time regional labels during the early '70s like Wide World and Stoneway. Watson finally had success in 1974, when a steamy single for Resco "Love in the Hot Afternoon" was picked up for national distribution by Capitol Records, igniting a firestorm of national hits: "Where Love Begins," "Paper Rosie," "Farewell Party," "Should I Come Home (Or Should I Go Crazy)," and "Nothing Sure Looked Good on You." In 1982, shortly after moving to MCA, Watson recorded his only chart-topper, "Fourteen Carat Mind." A parade of Top Ten entries followed during the early '80s, including "Speak Softly (You're Talking to My Heart)" and "You're Out Doing What I'm Here Doing Without." Watson is a vocal stylist of considerable talent, and still owns his own body shop.